The East Essex District Association (EEDA) is part of The Camping and Caravanning Club, formed in 1962 when due to it's size the club split Essex DA into two forming West Essex DA (WEDA) and us, East Essex DA. Today the UK is divided into 13 regions and our region, Eastern Region, is further sub divided into 5 DA areas plus a total of five special interest groups. As a member of The Camping and Caravanning Club you are automatically a member of your local DA. The Camping and Caravanning Club offers fantastic deals on car, pet, tent and caravan insurance, RAC Arrival membership, Club Assure, Club Direct Loans, Club Autosave, Club Secure, foreign travel and boasts a huge network of sites throughout the UK and Europe from small, quiet sites to larger commercial sites. The Camping and Caravanning Club is the largest of its kind and boasts over 400,000 members. The Clubs Technical Information Department offers a range of help and advise on key camping and caravanning topics. Data Sheets are also available to download for free from the clubs web site. The DA is organised by club members for club members and we organise approximately 30 meets a year in our area, a couple of temporary month long meets out of our area and a number of out of season socials. 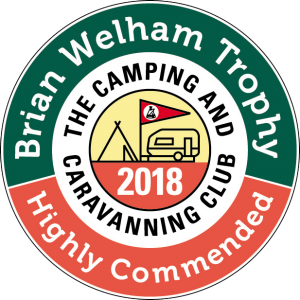 Any member of the Camping and Caravanning Club is more than welcome to join us. You must be a member to camp with us and in order to vote at our AGM you must be a member of the East Essex DA. If you enjoy camping or caravanning and want to get out more then your local DA is the perfect answer. There is nearly always a meet near to you and the site fees are very low, (usually from £20.00 for a weekend). Please look through our list of meets for the year ahead or look in your "Out and About" for a site near you.